Amazon's Echo Show is a smart speaker with a touch display. Google is planning to take on Amazon with its own screen-equipped smart speaker, a new report claims. 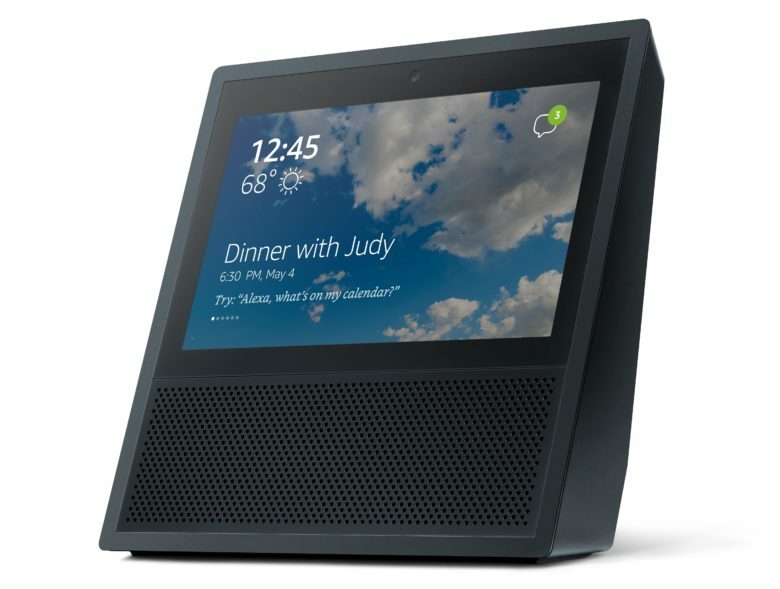 Amazon introduced its Amazon Echo Show in June 2017, followed by the smaller, cuter Amazon Echo Spot alarm clock a few months later in September 2017. Google reportedly hopes to ship up to 3 million units of the new devices in its first batch, says an industry source who describes it as, “an aggressive plan.” The plan is for Google to release its new device in time for this year’s holiday season. The news that Google might build its own smart speaker with a display is no great surprise. While it lags behind Amazon in market share, Google’s Google Home speaker has been successful at carving out a piece of the market. Earlier this year, Google introduced its Smart Display platform which allows partners such as Lenovo, LG Electronics and Sony to build their own Echo Show-style devices, using Google technology. However, up until now Google has not manufactured its own device in this category. Google has one big advantage when it comes to taking on Google in this area: YouTube. While YouTube was initially available for the Echo Show, a disagreement between the two companies led to Google pulling its YouTube support. For a lot of users (myself included), this represented a major blow to the usability of the Amazon Echo, which is perfectly tailored for watching short videos as opposed to more involved, long-form content. If Google can build its device with YouTube front and center, while using the superior voice assistant of Google Home, it could be onto a winner. Google and Amazon aren’t the only tech companies battling it out in the smart speaker arena. Apple, of course, has its HomePod, although so far its high price and limited quality Siri assistant makes it a minor player in this area. Apple rival Samsung’s upcoming Galaxy Home will also boast a focus on audio quality with omni-directional speakers, and the company’s Bixby voice-activated digital assistant. Facebook is additionally rumored to be getting into this market with a pair of smart speakers set to launch later this year. Facebook originally planned to launch its competitor product at the F8 conference in May, but supposedly delayed its plans — possibly after figuring out that debuting a product which gathers data inside your home may not be its best PR move right now. Unlike HomePod, Facebook’s two speakers will supposedly boast 15-inch touch screens, and will be positioned as devices intended for video chat and social features.